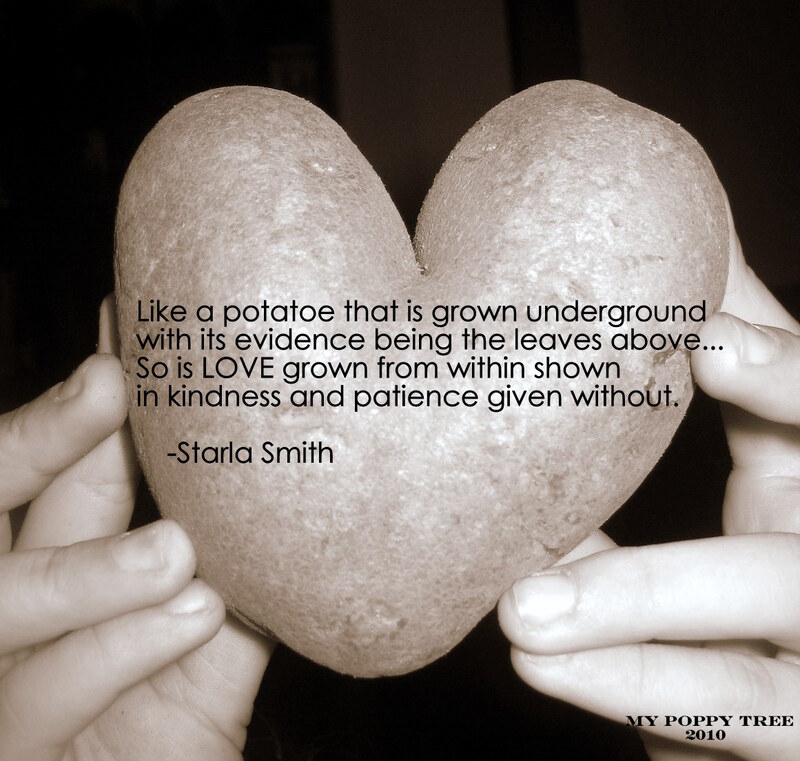 Love that potatoe, perfect for your quote & love what you wrote too by the way = ) Thanks for sharing Star! I love this post! Love: shown in patience and kindness.